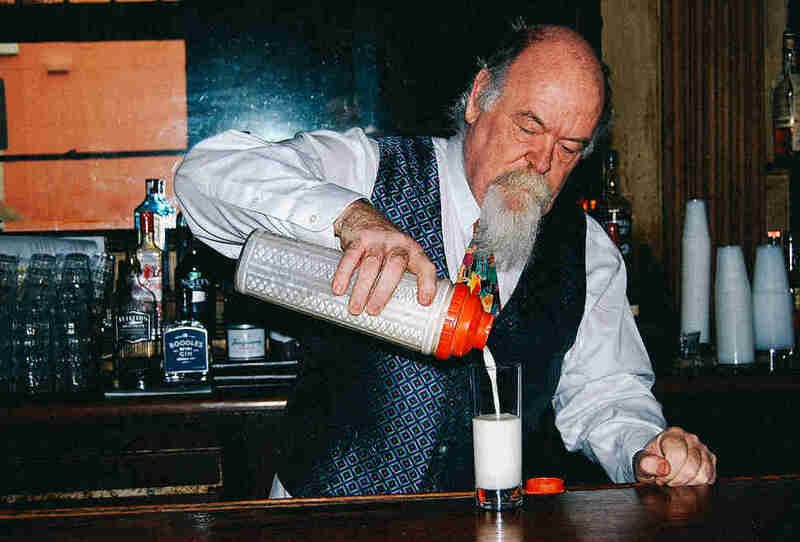 A Prohibition-following, temperance-preaching bartender isn’t the likeliest of candidates to invent one of New Orleans’ most seminal cocktails. And yet Henry C. Ramos, an artistic, law-abiding citizen, is the man who shook up the first-ever Ramos Gin Fizz in 1888, forever altering the local cocktail scene. A native of Indiana, Ramos just “loved to mix things,” says Elizabeth Pearce, a cocktail historian, tour guide, and co-author of The French Quarter Drinking Companion. As owner of the Imperial Cabinet Saloon on Gravier Street, Ramos had little tolerance for over-imbibing, and preferred orderliness and moderation when it came to his patrons, she says. He invented the now-iconic cocktail -- his take on a simple gin fizz -- with a dedicated sense of perfectionism. The original recipe called for dry gin, powdered sugar, heavy cream, fresh lemon juice, lime juice, an egg white, and orange flower water. Once shaken, the drink is poured into a Collins glass and topped with soda water, to elevate it and give it a little fizz. The result? A creamy, refreshing cocktail meant to be savored down to the last sip. “A lot of people now would think of it as a day drink, a brunch drink, because it’s a bit sweet, frothy, and creamy -- kind of like a milkshake,” Pearce says. According to cocktail lore, Ramos’ recipe called for an arm-busting 12-minute shaking time. When he sold the Imperial Cabinet Saloon in 1907 and purchased a nearby bar called The Stag, where the drink gained popularity, Ramos went so far as to form an assembly line out of his employees, referred to as “shaker boys.” As Pearce notes, each one would shake the cocktail for a minute before passing it down to the next employee, to preserve their stamina in time for the next order. 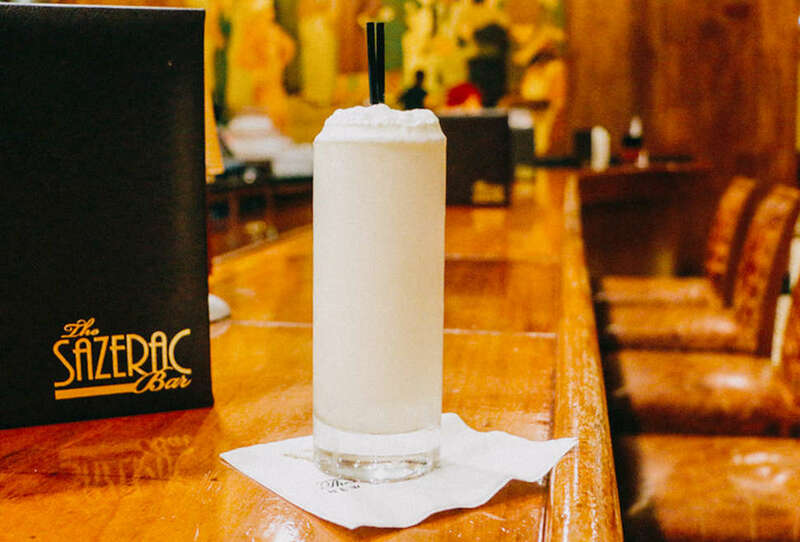 Due to its esoteric ingredients and time-consuming method, the Ramos Gin Fizz isn’t as prevalent on menus here as other classic New Orleans cocktails, like the Sazerac. Over the years, bartenders have found ways to slightly tweak the recipe -- most use simple syrup in place of powdered sugar, and employ a considerably shorter shaking time. While bar etiquette holds that you not order a Ramos Gin Fizz when a mixologist appears too busy, lest they shoot you a dirty glance, plenty view the drink as a source of pride. That being said, he does have a shortcut: “I don’t think it needs to be shaken for 12 minutes; that’s a bunch of baloney.” In his Ramos Gin Fizz -- known as one of the best in the city -- he prefers to use powdered sugar over simple syrup (as in the original recipe), which results in a creamier texture. And he adds the soda water into the shaker, thus combining all of the ingredients at once, instead of pouring the soda into the glass afterward. “I shake it three times and let it sit in the glass,” he says. “I can make them in less than three minutes.” In fact, he recently made 75 for a large tour group that came into the bar. 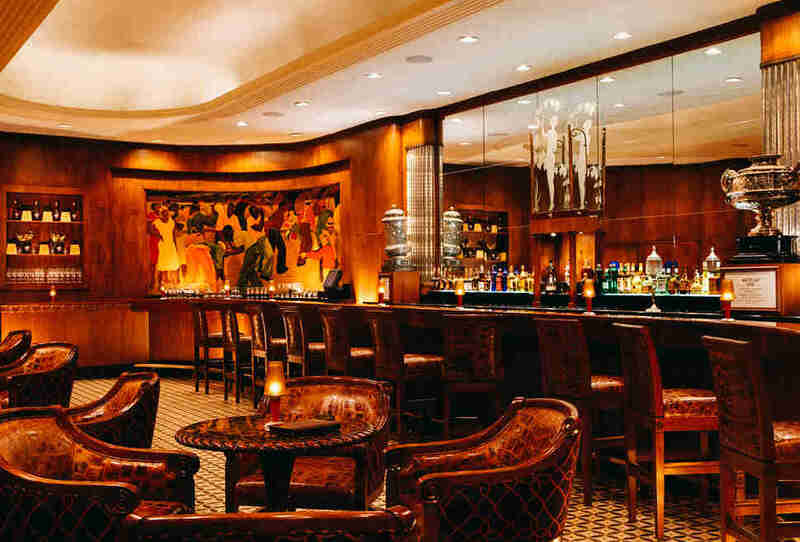 Perhaps the most storied place to drink a Ramos Gin Fizz is at The Sazerac Bar at The Roosevelt New Orleans. After Prohibition ended, Ramos’ son sold the rights to the drink to the Roosevelt Hotel, where colorful former Louisiana governor and senator Huey “The Kingfish” Long often held court during the 1930s, drinking a Ramos Gin Fizz. Once, as a “total publicity stunt” (according to Pearce), the famed politico even traveled to New York with his favorite bartender from the Roosevelt to “show the Yankees how it’s done” -- as in, how to make his cherished cocktail. For the record, “at The Sazerac Bar, we shake the cocktail 50 times,” says Myles Holdsworth, the Roosevelt’s assistant director of food and beverage. The hotel sells around 20,000 Ramos Gin Fizzes per year. So, next time you’re in the Crescent City, raise a (Collins) glass to Ramos by ordering his namesake gin fizz. Just remember to be patient with your bartender while they shake that drink. And maybe even leave them a nice tip.